Algorithms, big data and machine learning are fueling the future of a new sharing economy. And Loadsmart, a US technology company that enables shippers to transport their freight fast and keep carriers’ trucks full, is helping spearhead a logistics revolution. 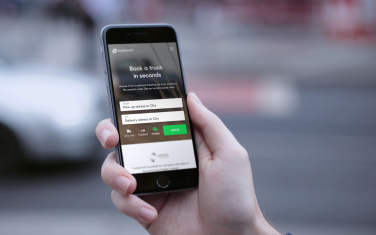 Like BlaBlaCar and Airbnb, it connects service providers with users, to the benefit of both. EGGS has been Loadsmart’s design collaborator since the start, contributing with branding, service design and UX design. Loadsmart offers shippers a simple online service that lets them move their freight fast and efficiently. It gives instant price quotes and allows for quick booking and live tracking from pick-up to delivery throughout the USA. By harvesting big data, Loadsmart can source the best carrier at the best price. Thanks to satellite data, shippers can accurately track their freight with 100% transparency from start to finish. Big data helps manage all transportation routes and provides a detailed picture of every truck along the way, including its ETA. Loadsmart’s website is friendly and easy to use. Shippers wishing to transport freight only need to punch in their pick-up and delivery address, and then choose a truck type, before automatically receiving a price quote - whereupon they can immediately book. Many of Loadsmart’s initial attempts at getting its business model right failed. Yet the company persevered, spending a considerable amount of time and resources continually adjusting and testing everything until it finally hit upon the perfect service formula to suit all users throughout its value chain. Loadsmart used machine learning to offer price quotes that were attractive to both shippers and carriers without dumping the market. Once it got its pricing more accurate, Loadsmart slowly introduced its instant booking, offering a completely new user experience for this type of market. As soon as a shipper has booked a truck, Loadsmart finds and confirms the trucker through its carrier network. The truckers can receive live jobs based on their preferences and current location. 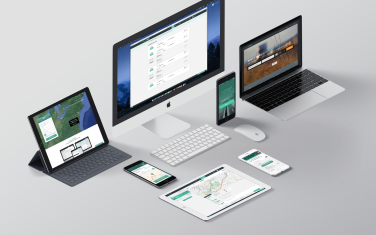 Loadsmart also offers free fleet management tools for all carriers, ensuring their trucks are never without freight whilst on route to somewhere. EGGS has been involved since Loadsmart was established in New York in 2014, working as part of a close-knit team and contributing to all branding, graphic design, service design, interface design and UX design. This includes the design of Loadsmart's website and the app that tracks the truckers - many of whom are only just learning how to use a smartphone, having been used to using two-way radio. Because of this, it was important that the UX design was both intuitive and universally appealing throughout. Today, Loadsmart employs 40 people in jobs ranging from development, engineering, operations, sales and administration, and has a database comprising thousands of carriers. Thanks to a lot of hard work, and with help from machine learning and big data, Loadsmart is a resounding success. Long may it keep on delivering the goods!